New Media, Design and Technology. Here you will find postings about photography and examples of recently taken pictures. Photography is one of my hobbies, but I also use it allot for my work, so expect to find a mixture of personal and professional postings. 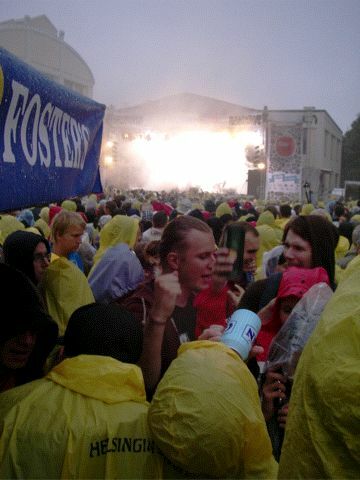 Here is a photo I took at the Flow festival in Helsinki. This entry was posted in Personal, Photography and tagged flow, gig, helsinki, photo on 28/8/2008 by ddewhurst. 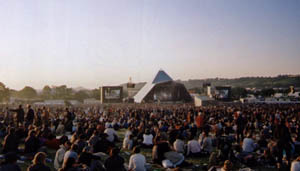 I have been going to the Glastonbury music festival since 1997, and this year it’s taking a year off. To make up for this I have updated my Glastonbury Panoramic Photography web site and moved it to my .Mac server. This means I can update it more easily and it has a really impressive slideshow feature. P.S. I saw Glastonbury the movie the other day and I was really impressed. If you’ve been to Glastonbury before I can definitely recommend this film. This entry was posted in General, Photography on 8/5/2006 by ddewhurst. I have finally had a chance to have a play with the new iLife 05 and iWork software from Apple. The updates to iLife are fantastic, especially iPhoto. The ability to control image properties like colour balance and image tilt from with iPhoto is great. It means I no longer have to have the fiddly job of opening and changing a picture in Photoshop then reloading it into iPhoto before I can use it in my DVD slideshows. This alone is worth the asking price. iMovie now natively supports widescreen, a feature I could have done with in early January when I found out all the Christmas movies had been accidentally filmed in widescreen mode! HD support is interesting but probably only useful in 2006 when some cheaper consumer HD cameras will come out. As usual Apple is ahead of everyone here, even its users. I love the new menu designs in iDVD with moving drop zones for photos or videos. Everyone I show my holiday DVDs to are always very impressed, unless they happen to have a Mac in which case I can see the look of â€˜anyone can do that!â€™ in their eyesâ€¦ There is, however, a big omission, out of all the versions of iDVD there has not been one Christmas or winter theme! Come on Apple, everyone makes home movies at Christmas. Where is the gentle falling snow in front of telly tubby snowmen with movie drop zones on their bellies? Garageband hasnâ€™t had as big an upgrade as Steve Jobs could have led you to believe. Multitrack recording and a tuner are nice additions, and so is the ability to create music scores live, but it still feels far to slow on my eMac. Also I would like to have an easier way to change chords (not keys), with a C or a G for example visible on the master track for each chord change. This would make creating backing tracks for existing song much easier. iWork is a very mixed bag really. I have never used Keynote before, but I had heard so much about how it was far better than PowerPoint. No one seems to have pointed out that Hypercard on my Mac Classic years ago was better than PowerPoint is today, i.e. itâ€™s not difficult! The effects and transitions in Keynote are very nicely done, and the templates show a design aesthetic and reserve often missing from PowerPoint slides. I was, however, struck by how pedestrian the user interface was. For an Apple program it was far too cluttered and full of idiosyncratic non standard boxes. Both Keynote and Pages both share these same interfaces, and Pages especially struck me as being a bit too much like AppleWorks for my liking. They had a chance to start from scratch with this, but I think they went for the easy option. The templates are fantastic, colourful and well balanced, but I would have liked a few more basic letter and envelope templates. Hopefully they will improve these rough edges and add a spreadsheet and database soon. This could make it an Office killer, but isnâ€™t that what Apple are really scared of? They did it for IE can they afford to do it for Office? This entry was posted in Internet and New Media, Photography on 22/2/2005 by ddewhurst. This entry was posted in Photography on 29/1/2005 by . This entry was posted in Photography on 28/1/2005 by .